Due to the hurricane weather this past weekend, this event has been rescheduled for September 22. Same times and location. We apologize for the inconvenience. The park district shut down the event on September 15th. We have reopened registration and online registration will close at midnight on September 20th. 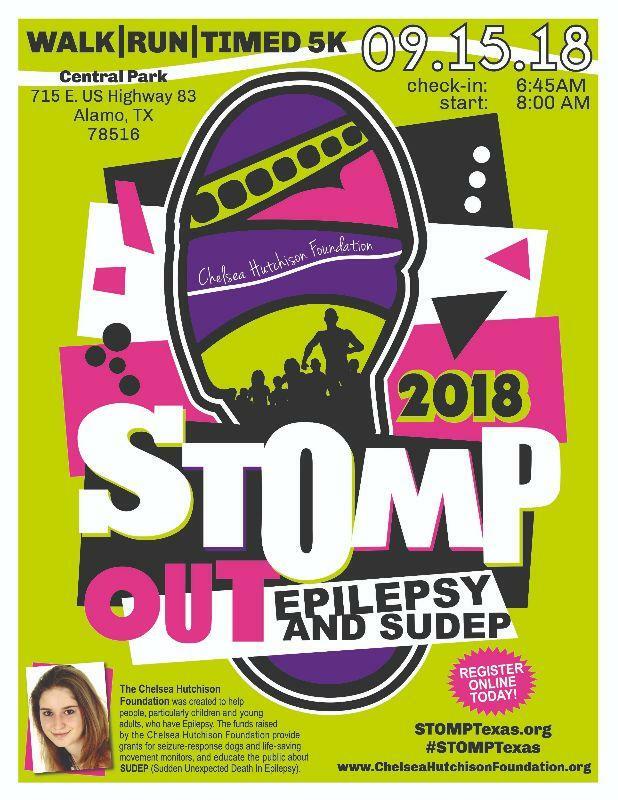 Join us at Central Park on September 15, 2018 to STOMP Out Epilepsy and SUDEP at an Awareness Walk/Run. Fee guarantees an event tshirt if registering before August 15, 2018. We always order more, but after that, tshirts and t-shirt sizes are subject to availability. Walk Day Registration is $35 Adult (13 and up) and $20 Children 7-12. Pets are welcome as long as they are leashed at all times and picked up after. Service dogs welcomed and encouraged.